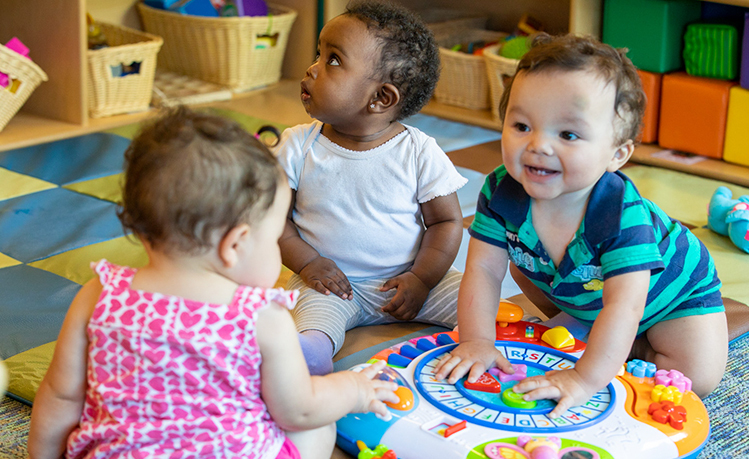 Under the immediate direction and supervision of the EHS Senior Managers and Education Managers, the Early Head Start Childcare Partner Liaison will assist in the responsibility and oversight of the daily operations in infant/toddler classrooms/centers where assigned. Early Head Start CCP Liaison provides direction, guidance and strategies to teachers assigned to the childcare partner site (CCP) or Sunrise Children’s Foundation site. EHS CCP Liaison supports classroom teachers in providing established best practice child development care, supervision, environments, routines, approaches and assessment. At the direction of their immediate supervisor, EHS CCP Liaison may monitor child attendance, organize and conduct parent education and parent participation activities, and conduct program monitoring and other tasks as assigned. EHS CCP Liaison must also be willing and capable of learning and supporting classroom teachers to implement the practices and standards of instruments such as the Environmental Rating Scales, the Teacher’s Learning and Collaborating model, Teaching Strategies Gold assessment, and the Practice Based Coaching approach. Provide guidance, modeling and support to assigned teachers. Participates in IFSP meetings, case conferences, parent conferences, case reviews, staff meetings, in-service and pre-service meetings, and other meetings as directed. Assure that screenings occur in a timely manner; that findings are recorded; individualized plans are developed and implemented; that ongoing observation is utilized to update each child’s individual plan on a regular basis. Prepare and maintain accurate records, including staff and child attendance records, child observation, individualization, lesson plans, lunch count, parent participation, in-kind contributions, and others as directed, using proper spelling and accurate calculations. Builds positive and productive relationships with families that focus on trust and support and encourage involvement in the EHS program. Participates in orientation of new families. Participates in monthly parent meetings at the center and other social activities for parents. Schedules, participates and ensures documentation of conferences, home visits, parent trainings and parent/family involvement activities. Involves parents in educational activities that support their role as their child’s first teacher, including volunteering in the classroom. Must be able to work for long periods of time while maintaining concentrated attention to detail. Must be able to sit a table or desk for long periods of time with occasional standing, walking, squatting or reaching. * Our Childcare Coaches may be required to assist in the classrooms including possibly changing diapers? Yes, I am willing to assist in classrooms as needed including changing of diapers.I am not willing assist in classrooms * Please describe your interest in working for Sunrise Children's Foundation.